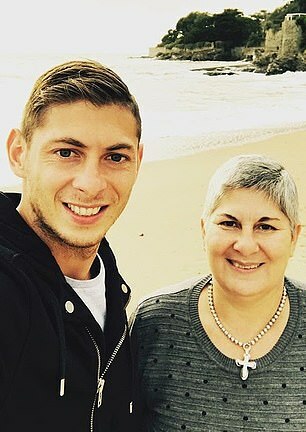 The mother of late footballer Emiliano Sala has accused his club Cardiff City of disrespecting her family and said: ‘I demand justice’. 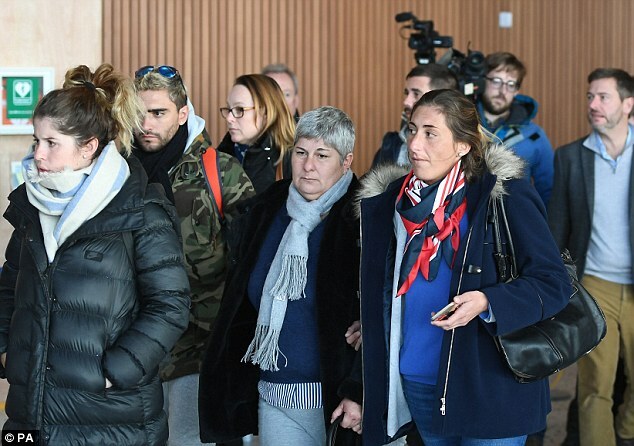 Mercedes Taffarel said her son, who died in a plane crash over the English Channel in January, had ‘not been taken care of in the way he deserved’. 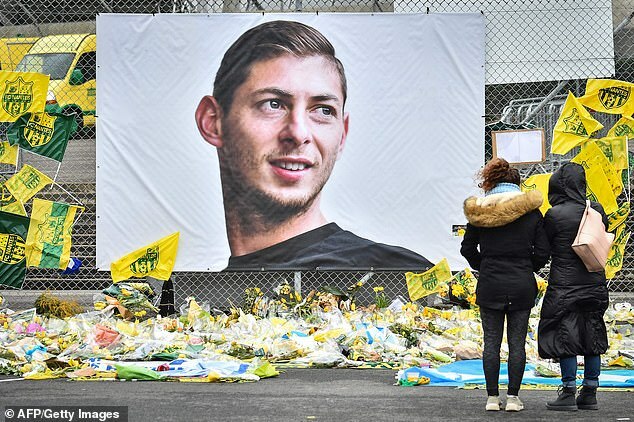 Cardiff are locked in a row with Sala’s former club Nantes, who are demanding that the Welsh club pay up the £15million transfer fee which was agreed just days before his death. Ms Taffarel said Cardiff’s reluctance to pay was a ‘sign of disrespect towards my family’. 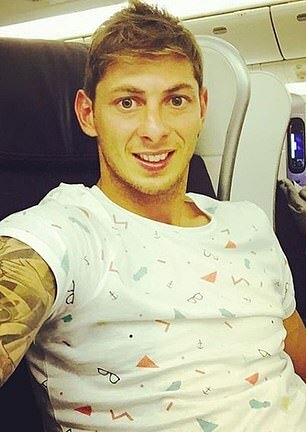 Argentine striker Sala, 28, and pilot David Ibbotson died in the Piper PA-46 Malibu plane on January 21. The footballer’s body was identified on February 7. Speaking to French newspaper L’Equipe, Ms Taffarel said she was ‘angry’ at how Cardiff had treated her son. It is unclear if there was any signing-on fee for Sala in the £15million transfer deal. She said: ‘Do I see this as a sign of disrespect towards my family? Yes, I think so. It would have been different if he had not really signed. Ms Taffarel went on: ‘I want justice for my son. I simply want the truth. Let justice determine if there has been negligence, if someone made a mistake, and make them pay. Sala had scored 12 goals in 19 league games for Nantes in the first half of this season, prompting Cardiff to pay a club-record £15million fee for him. His body was recovered in a privately-funded search, after the official search was called off when Guernsey’s harbour master said the chances of survival were ‘extremely remote’. Agent Willie McKay arranged for the flight to take Sala to Cardiff but he said he had no involvement in selecting the plane or pilot. 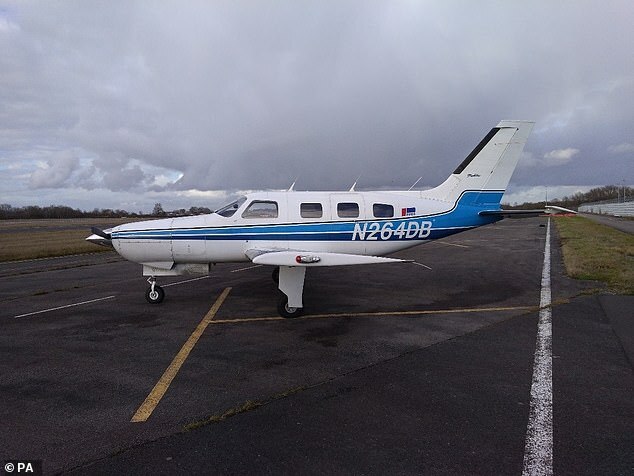 The aircraft remains underwater 21 miles off the coast of Guernsey in the English Channel as poor weather conditions stopped efforts to recover it. Last month Nantes lodged a complaint with FIFA over Cardiff’s refusal to pay the first instalment of the fee. 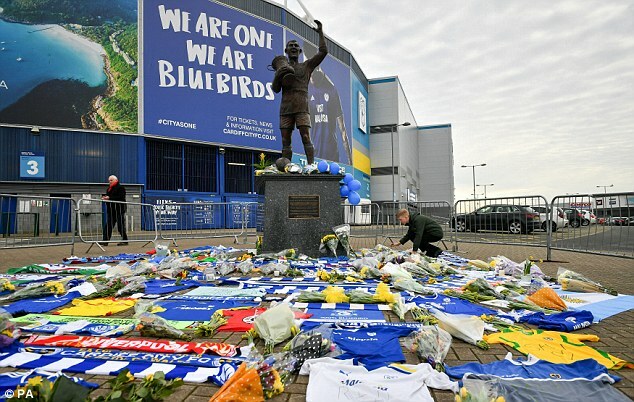 Cardiff have said they want to wait for the investigation into the crash to be completed. The club said last month they remained ‘committed to ensuring fairness and accountability’ over the deal, but insisted ‘the facts surrounding this tragedy’ had to first be established. In the meantime, Nantes owe half of the transfer fee to Sala’s former club Bordeaux under a previous transfer agreement.